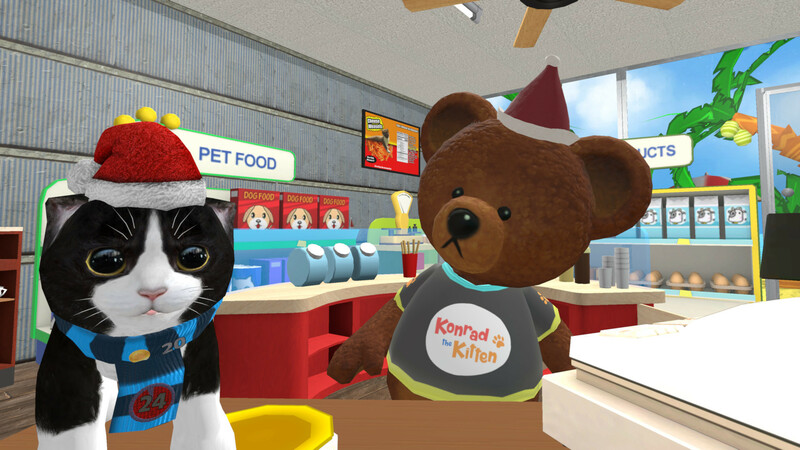 Immerse yourself in the virtual world of Konrad the Kitten and experience the first virtual cat that feels like a real one. Look after him daily and care for him as though he were a real furry friend. Satisfy his needs and desires, play mini-games full of action, and unlock more than 50 accessories! Destructoid - "After having waded through far too many dull games for HTC Vive that all just want to make the controllers a gun, I've finally found a truly innovative game in Konrad the Kitten - A virtu-real cat"
Killscreen - "Extending play in virtual reality beyond the digital realm"
We are about to deploy our new content update "1.5 - Merry Christmas" to Steam users. 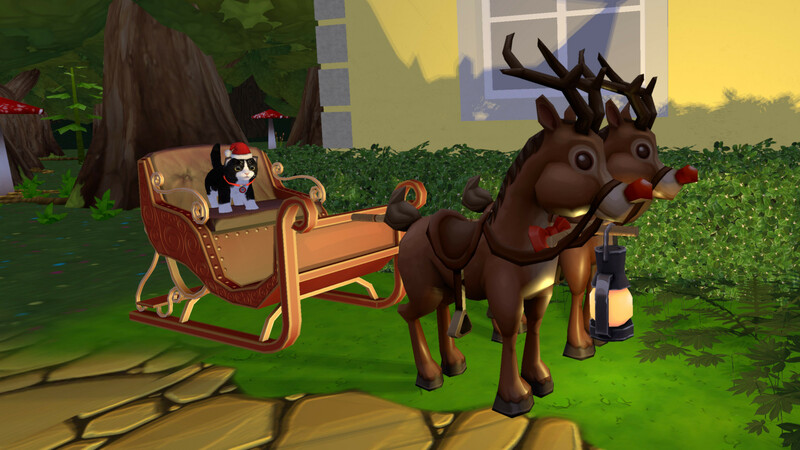 The update will overhault the existing christmas event and bring some more Christmas stuff to all players. All together: This is not our largest update, we know. 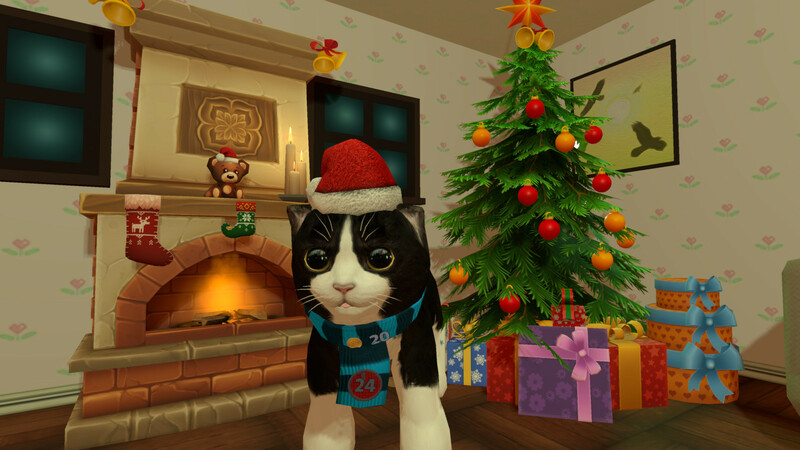 We just wanted to bring some light into your kitten's home during christmas time. In the meantime we are progressing well with our large 2.0 update that is scheduled for late winter. The new level we add is already 90% done. But this is just one of the big new features that will come.